Home Numerology Angel Number Meanings Quadruple Digit Angel Numbers Meanings Angel Number 3333 Meanings – Why Are You Seeing 3333? Do you feel like you are seeing 3s everywhere you turn? You pop to the grocery store for a few supplies and your bill comes to $33.33. At home in the afternoon you receive an unexpected phone call, and notice that the caller number ends in 3333. Later as you let your mind wander, you mindlessly look at the barcode on the pasta you are cooking. You notice that the barcode contains the digits 3333. This is probably not a coincidence. 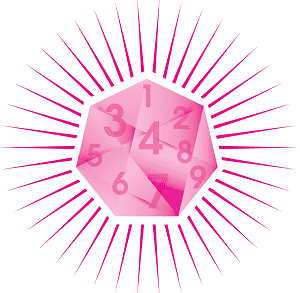 When numbers show up like this, they are often Angel Numbers, delivering a message to you. 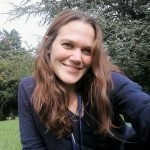 What could the quadruple digit Angel Number 3333 be trying to tell you? What does Angel Number 3333 mean for love? Angel Number 3333 resonates with the vibrations of the number 3. Not only is it full of 3s, but it also reduces to the number 3 as 3+3+3+3=12, which is further reduces to 1+2=3. The number 3 represents harmony and balance between the mind, body and spirit, and is also all about perception and communication. Our ability to perceive the truth of the world around us is stronger than we think, and the way we communicate has a greater impact on our existence than we could possibly imagine. 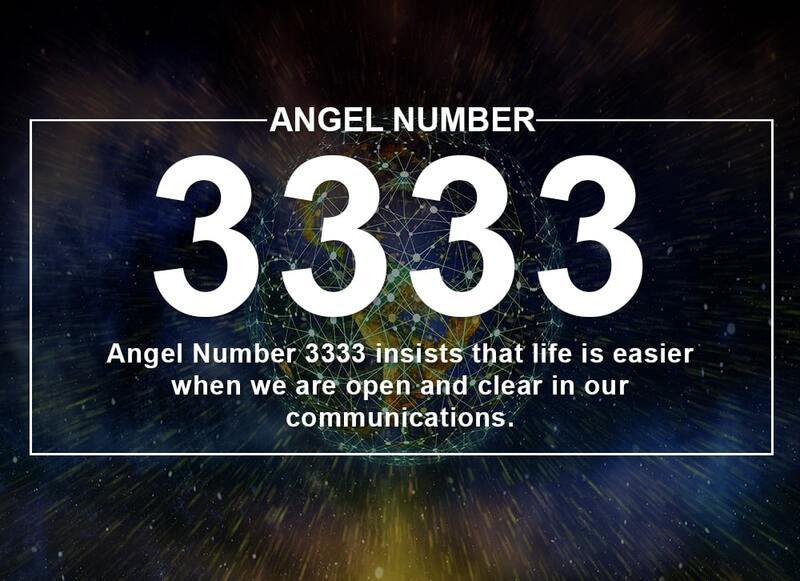 Angel Number 3333 insists that life is easier when we are open and clear in our communications. No matter how hard someone tries to communicate with us, sometimes we just cannot hear what they are saying. Because of our own insecurities or fears we have already decided what they think about a certain situation. No matter what they say, we will read the answer that we have already decided that they will give in their words. Angel Number 3333 can be a warning that we have fallen into this trap. It asks us to try and put our prejudices to one side and take the time to really listen to what someone is telling us. Just as it is important to listen to other people, Angel Number 3333 can show up to ask us to pay attention to what our body is trying to tell us. Mind, body and spirit are all connected, and what happens in our mind and spirit often manifest in our body. This means that health concerns such as being overly tired, getting headaches, irritated skin or not being able to sleep, could be our body telling us that something is not right with our mind and spirit. As well as considering the possible physical causes for an ailment, consider whether you are suffering from stress, frustration or uncertainty. These could be the root cause of physical problems, and will need attending. Often, we are disappointed when we don’t get what we wanted from another person. Surely, they must have known that this was what we needed from them? Unfortunately, no. Few people are mind readers, and most people are not as good at picking up on unspoken signals as we expect. The 3333 Angel Number suggests that if you want something from another person, the best way to get it is to go ahead and ask. Testing someone by expecting them to divine what you want without you saying anything is setting them up to fail, and setting you up for disappointment. We all have an idea of who we are, and how we are perceived by other people. But other people’s perceptions of us do not always match what we imagine. We think we are charming, they think we are sleezy; or we think we are funny, they think we are flippant; maybe we think we are caring, they think we are overbearing. 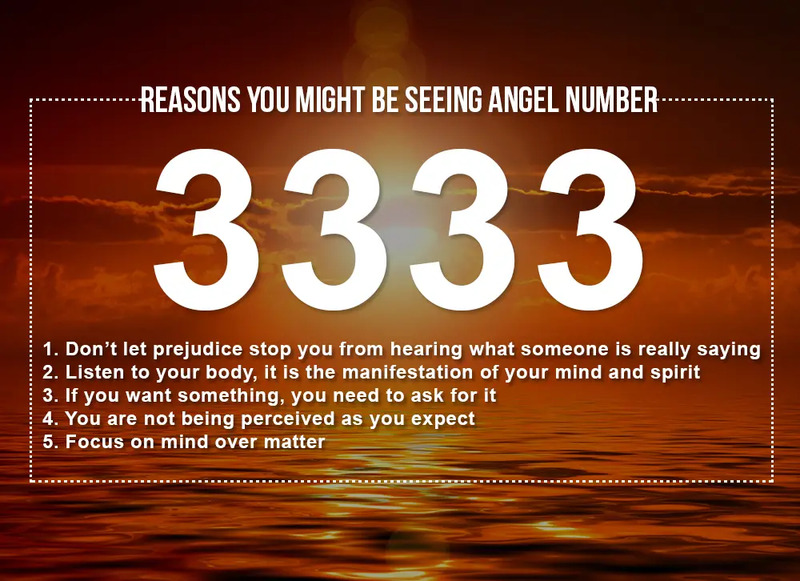 Angel Number 3333 can show up to warn us that we are not being perceived as we imagine. It suggests that we stop and look at the evidence for what other people think about us. If we don’t like it, consider what we might be doing to give them this impression. We still know very little about the mind and how it works, but we know that it is extremely powerful, and that there is something to the old saying ‘mind over matter’. While sitting in your kitchen and wishing to win the lottery every day probably won’t bear fruit, maintaining a positive, opportunity-focussed, growth attitude can have a profound influence on your life. If you believe that every failure is an opportunity to learn and grow, you will soon find that you never feel like a failure and improve quickly. If you take rejection as a challenge to come back harder or to try a different approach, you will find yourself covering much more ground than if you see a no as the end of the road. Angel Number 3333 can suggest that you make some adjustments to your mindset. When it comes to love, Angel Number 3333 suggests that any problem you are facing can be solved by some good old-fashioned communication. If you like someone, tell them; want to make something casual exclusive, say so; you are ready to take something to the next level, ask; if something about your relationship just isn’t working any more, tell the other person. You may not always get the response that you want, but you won’t have any regrets in the long term. You can always take seeing and recognising Angel Numbers as a positive sign. It means that the Angels are with you and trying to help you, and that you are enlightened enough to perceive their interventions. In order to determine what specific message an Angel Number has for you, pay attention to what you were doing or thinking when the number was revealed to you. Angels will send answers to problems when the problem is in front of you in some way. They want you to know that this is the question that they are answering. Do you seek guidance and insights into the past, present and future, with regards to relationships, love, or money? 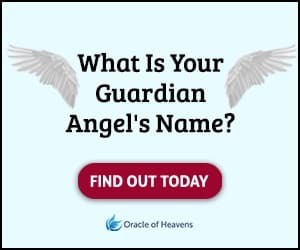 If you are frequently seeing the 3333 Angel Number, take this popular free test to see whether your Guardian Angel is trying to send you an urgent message. Do you feel like you are seeing 3333 everywhere you turn? It's probably no coincidence. Learn the important meanings of Angel Number 3333 here.